Volkswagen's global car sales plunged 5.3% in October, after it admitted rigging pollution tests on millions of its vehicles. The German car maker said it fitted as many as 11 million diesel vehicles worldwide with software that could cheat nitrogen oxide emissions tests. Volkswagen (VLKAF) halted sales of some of its models soon after the scandal broke in September, and is now counting the losses. "The temporary sales stops for vehicles affected by the diesel issue had an impact on sales," said Juergen Stackmann, Volkswagen board member responsible for sales. Its sales in Western Europe, Volkswagen's home market, declined 1.3%. Sales in the U.S., where the scandal first broke, were up 0.2% in October, while Asia-Pacific saw a drop of 0.9%. The emission scandal came at a tricky time for Volkswagen. The company is struggling with weakening sales, especially in emerging markets. "We not only face the diesel and CO2 issues but also tense situations on world markets," Stackmann said. Sales in China, Volkswagen single biggest market, grew 1.8% in October, but are 6.5% down so far this year. Meanwhile, it sold 50% fewer cars in Brazil and saw its sales drop by 25% in Russia. The company said it will need to recall nearly 500,000 cars in the U.S., and about 8.5 million in Europe. It also admitted understating carbon dioxide emissions and fuel usage for about 800,000 vehicles, including some with gasoline engines. Volkswagen is trying to contain the crisis. It has replaced its CEO and offered $500 cash payouts to owners hit by the scandal in the U.S.
"The entire company is working to restore the trust of our customers in the brand and our products. We will take care of each individual customer who is affected," Stackmann said. 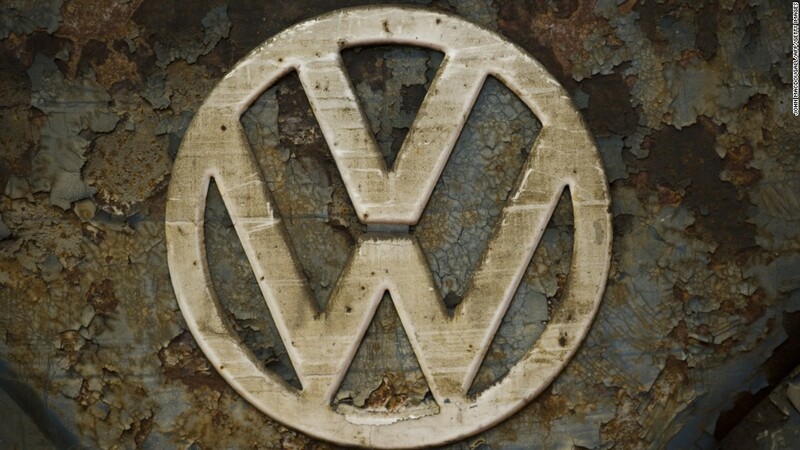 The sales of the entire Volkswagen Group, which also owns Audi, Porsche, Seat and Skoda, were down 3.5% in October. The drop in Volkswagen-branded car sales was partially offset by the success of Porsche, Volkswagen Group's luxury brand, which saw 18% growth in sales in October. Audi sales grew by 2%, while Seat was down 3% and Skoda 2.7%.